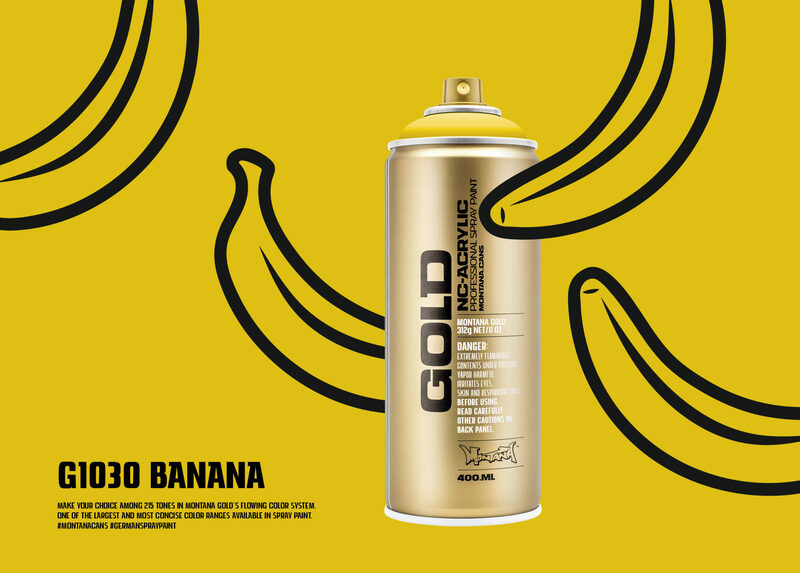 COLOR SHADE OF MONTANA GOLD G1030 BANANA – A rich and bold yellow, inspired by the most iconic fruit on earth. This won’t peel off though! Our latest campaign illustrating selected color shades of the popular Montana GOLD spray paint range – More info coming soon!